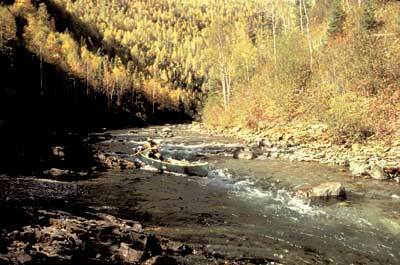 The Gaspe’s unique combination of Quebec Maritime and rugged north country provides the backdrop for the Bonaventure - reputed to be the most pristine river east of the Canadian Rockies. Flowing out of remote Lac Bonaventure, nestled high in the Chic Choc Mountains, the river features forested gorges, dramatic mountain vistas, and crystalline salmon filled waters. With a consistent dropping gradient, the river is characterized by virtually continuous mildly technical Class I-II+ whitewater (a few Class III drops in the gorge section) —all the way to the sea. Trip meets in Bonaventure, P.Q the evening prior at our Quebec partner’s riverside base camp, and also includes the last night’s inn accommodation — overlooking the Baie de Chateurs. A unique mini-expedition on one of eastern Canada’s most appealing rivers, the Bonaventure remains a perennial favorite of many of Sunrise’s guides. Incl. last night’s inn accom. Typical of the great Québec waterways, the Chamachuane is a river of major dimensions — in all respects; breadth, power, whitewater, and scenic beauty. 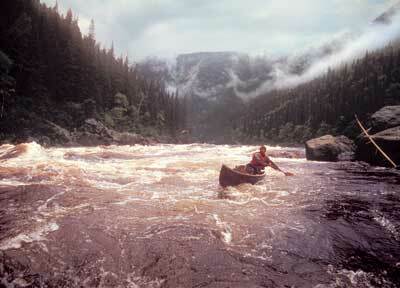 Flowing through the historic Saguenay voyageur country, in central Québec, from the Chibougamou Preserve, towards huge Lac St. Jean, the seldom travelled Chamachuane ischaracterized by “big water” — long, heavy rapids (Class II-III), requiring skill and stamina of the open canoeist. It also features exceptional campsites with panoramic vistas, some spectacular falls (requiring portaging), and fishing for huge northern pike. The river adventure is capped by a last evening incharming, historic, European Québec City (where the trip alsomeets), including accommodations at the venerable Chateau Laurier on the Grand Allee. 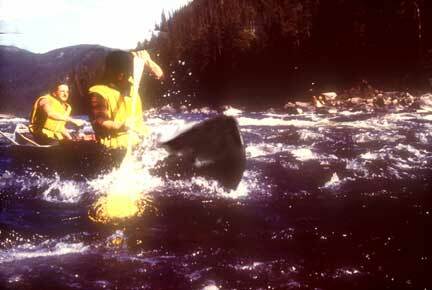 The “Yosemite of the North” — Rising off the remote Labrador Plateau, and cutting an awesome glacial canyon through the Quebec North Shore, the mighty Moisie is a “world class” whitewater river trip. One of the most spectacularly beautiful rivers in Canada, the Moisie dwarfs the paddler with precipitous headlands and sheer cliffs towering up to 2000 feet. 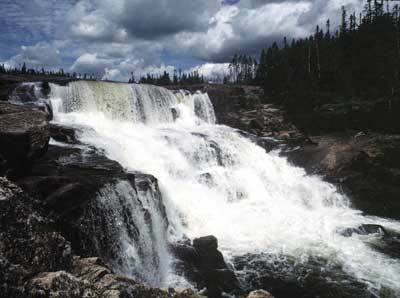 Successions of waterfalls cascade to fringes of the riverbed. But the Moisie is not for everyone. As the river surges through these deep gorges, through the jumbles of gigantic glacial boulders, it creates rapids and falls of considerable magnitude. An expedition both technically demanding and physically arduous, it is suited for the serious canoeist seeking a challenge. However as with all our trips, top professional guides coach on technique throughout. 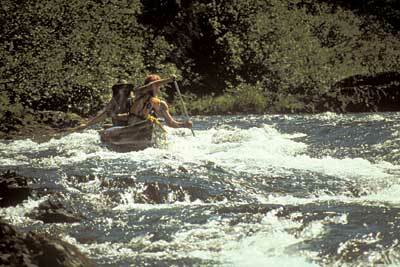 Access is by float plane out of Sept Illes, Quebec, where the trip meets. Egress is via the bi-weekly Quebec North Shore & Labrador Railway run from the Labrador interior to the coast.